2-36038 has no other items for sale. I AM NOT A BEEKEEPER, BUT AM ONLY TRYING TO GIVE A BOOST TO WHAT I’VE HEARD IS A DECLINING POPULATION OF THESE VALUABLE CREATURES. 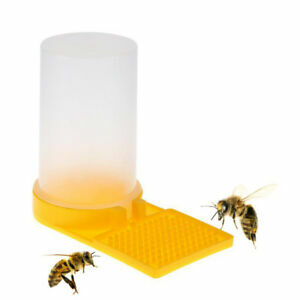 THE FEEDER IS INEXPENSIVE, AND IT CERAINLY ATTRACTES HORDES OF BEES. MAY THEIR RACE INCREASE.